A brilliant, beautiful smile can brighten your appearance and even your outlook on life. Gary Wegmann, DDS, and the cosmetic and general dentists at Chicago Family Dental Center in The Loop of Chicago, Illinois, specialize in making patients' smile dreams come true with full and partial smile transformations. From simple smile touch-ups to full-blown restorations, Chicago Family Dental Center is here for you. Call or book online for a consultation today. Your dentist offers both partial and complete smile transformations that are customized to suit your aesthetic goals and unique dental needs. A smile makeover means having one or more cosmetic dentistry procedure to improve your smile. It can be a complex mouth reconstruction or a straightforward professional teeth whitening treatment. In the end, your smile makeover will be unique to you. Your treatment program could include one or many of these excellent options. Your dentist helps you weigh the advantages and disadvantages of each approach to help you determine the best procedure for you. Following her assessment, it's time to discuss your choices for a smile makeover. Your dentist likes to educate patients and works with you to devise a satisfying makeover treatment plan. For a small fee, your dentist can show you what the final result of your smile makeover might look like so you can decide whether or not you want to proceed. Like the outcome? Keep moving with your smile makeover! The amount you already paid will be applied to the cost of your procedure. Your dentist believes in a conservative approach to dentistry and won’t recommend a procedure unless it benefits the health and beauty of your smile. 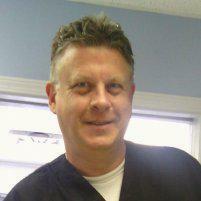 He is also an advocate for accessible and affordable cosmetic dentistry. That's one reason Chicago Family Dental Center welcomes the CareCredit payment program so that you can easily finance your smile makeover. If you want a whiter, brighter, more beautiful smile, call Chicago Family Dental Center or request an appointment online today.